Sunday, April 13, after finishing what would be his last, The Lifeboat Hour, radio show, whistle-blower, activist, author, American hero, Michael C. Ruppert, allegedly shot himself, taking his own life. You can read Carolyn’s statement in its entirety here. Unfortunately, Michael’s death is neither rumor nor Internet hoax. According to Miller, Michael used a “Glock 30 .45 caliber pistol” and shot himself in the head; his body was discovered by a friend. Miller intends to provide documentation of Michael’s suicidal demons for the public in the hopes of squelching any crazy conspiracy theories surrounding his death. He does not however, discount any possibility and vows to investigate thoroughly and publicly. As Michael’s executor he will have access to autopsy reports. The autopsy is being performed today, Tuesday April 15 and Miller should have a preliminary coroner’s report sometime today however the complete autopsy results with toxicology, etc. will not be available for months. At this time Miller asks everyone to please be respectful by not passing around speculation and conjecture. It is documented in texts and video that Michael had issues and entertained ideas of death, something called suicidal ideation. Many people with depression, bipolar and other mental illness suffer the same. the idea of dying is fixed and there is little another can do to remove the desire from the one fixated. Those close to him have voiced their concerns and knowledge that this day would come. “The hardest part of this, for me, is that everything I did with or for Mike was in an effort to prevent this day from ever happening. Collapse Net was literally formed to provide a means for Mike to make a living. In doing so, he was brought back into a world of despair that he thought he had retired from. He absorbed the pain of the world on a daily basis until he could not take it any longer, and he left CollapseNet when it got to be too much. But that pain kept following him, and there is nothing that anyone could do about [it]for him. A Profound or Prophetic Goodbye? Maybe those words were Michael’s way of letting us know how intensely he himself was feeling that heat? At the 21;49 mark in this final show, Michael plays a song in dedication to, “everyone who has been so loyal to this show and who has walked the walk all of this way to these very painful times,” saying. 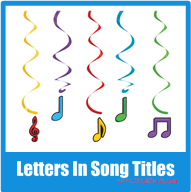 Calling All Angels by Jane Siberry with k.d.lang. Who Was Michael C. Ruppert? 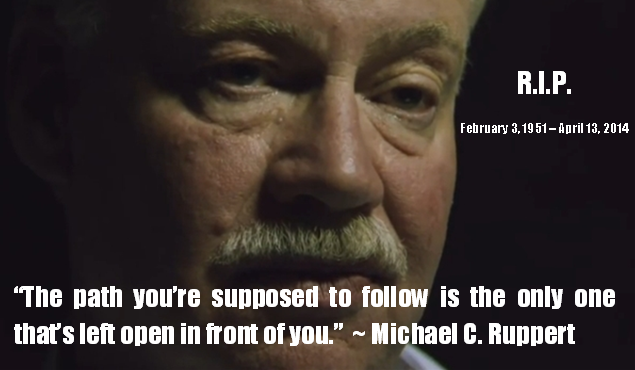 Michael Ruppert dedicated his life to exposing corruption and wrongdoing as an ex-LAPD narcotics officer and whistle-blower. He was a big and leading voice in activist movements from the Drug War and Peak Oil to 9/11 and more for more than 35-years. His books and videos have been read and watched by countless millions. He was loved and respected and his tenacity was daunting. His work was hard, his victories hard-fought, his lessons life changing. 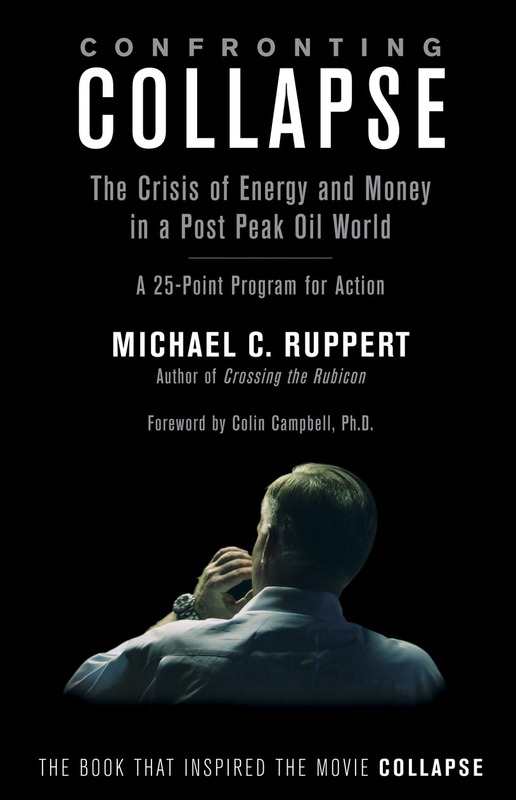 Michael Ruppert is the author of Crossing The Rubicon: The Decline of the American Empire at the End of the Age of Oil. Published in September 2004 and is one of the three best-selling books globally and in the US about the attacks of 9/11. Rubicon is the only book to show that Vice President Richard Cheney, the US government and Wall Street had a well-developed awareness of Peak Oil before the 9/11 attacks and that US policy since then has been consistent with Peak Oil imperatives. In May, 2006 Crossing the Rubicon was added to the Harvard School of Business library and released in a French version with distribution throughout all major book stores in France. Part I of a talk by Michael C. Ruppert author of “Crossing the Rubicon: The Decline of the American Empire at the End of the Age of Oil” given January 15, 2005 at Kane Hall, UW Campus Seattle. Part II of a talk by Michael C. Ruppert author of “Crossing the Rubicon: The Decline of the American Empire at the End of the Age of Oil” given January 15, 2005 at Kane Hall, UW Campus Seattle. One of the last known videos of Michael is from just a couple of months ago and is called, Apocalypse, Man: Michael C. Ruppert on World’s End (Part 1) and it is well worth watching. We just read about Michael Ruppert’s death. No words… He will be truly missed. Michael C. Ruppert made an impression and impact on me, my life and my writing as he did so many others. His work is a part of history however, ugly that history may be and that history is ours and we need to honor Mike’s for telling the stories so many others would not investigate let a lone have the balls to tell. Michael was a good guy and he will be missed by many. If you did not know who he was, chances are, somewhere in your life his work touched you in a positive way. Thank you Mike for steering me in the right direction and most of all for showing me where I was sometimes wrong. Your contribution will live forever. R.I.P. I am in contact with Wesley Miller as well as Carolyn Baker and others pertaining to this case and will report any new information as it is vetted and becomes available. For anyone concerned about Mike’s beloved dog, Rags, he is being adopted by Jessy Re. Reblogged this on Lissa's Humane Life. Reblogged this on Do YOU still have questions about what happened on September 11, 2001? There are millions of us. Please consider adding yourself to our picture ?. This may be strange, coming from a stranger, but please, please, please, someone take Rags to spend a few minutes with Michael’s body before they cremate him. It’s the only way to give closure for the dog, otherwise he won’t understand why Michael just left. Considering how close they were Rags needs to see and smell the body. It really is important. Jesse Re has adopted Rags. I do not Know how to reach them to suggest such, but I can mention it to Michael’s attorney, but the autopsy began yesterday and it is unlikely. Glad to hear someone has take Rags in. And Cheri I have to say DAMN at your extensive hard work writing this very through, informative yet respectful article. Thank you. I am so sad about all of this. I cannot believe there has not been any actual news on this that has any details. All a few have reported is that he killed himself and that he was a “conspiracy theorist”…so very very sad. A great and measureless loss on so many levels. What a blend of sensitivity, discernment, tough-as-nails realism, selflessness, and whatever one can call – ‘that which is beyond courage’. I would say that this is most likely the wrong question. I believe it will be shown that Mike terminated his incarnation in a considered and carefully planned way – as was his nature. If so, however, this would not necessarily mean – “Case Closed”. More to the point, I’d suggest, are questions concerning whether he was targeted by HAARP or other forms of psychotronic technology. If you care to do a little digging, you may find that these technologies are currently in use – in terms of altering a person’s thought-process, emotional states, and behavior. I am not proposing these possibilities to open up another avenue of fantasy. I am simply referring to what appears to be factual data concerning actual technologies, which may conceivably have been involved in Mike’s demise. After all, persons whose intention is to win a battle will always seek to exploit their opponent’s natural weaknesses. Clearly, at this juncture those of us who passionately care can’t afford to be naïve. I am not saying this is the case. Rather, I would suggest that one way to draw meaning from Michael’s death would be to use this time as an opportunity to learn about these and other advanced technologies – and their origins. It seems like a reasonable guess to say that this is what Mike would want. In any case Michael Ruppert had long ago earned entry into the ranks of the great servants of peace, Gandhi, John Lennon, and Martin Luther King Jr., and so many others who offered their own lives in the cause of universal harmony. May he continue to be a blessing to all the lives he touches – on Earth and beyond! (If interested, see The Tibetan Book of Living and Dying, by Sogyal Rimpoche). Great comment, minus the xrated stuff I thought I was about to read! So, I know when we wait for information it is easy to continue to speculate… and i am sorry because I have the information and have not finished telling you all the story yet. There is a sequence i need to lay this out in so that everyone will understand or “get” what it was he did and was trying to accomplish. Even those who LOVE him may be like,”huh”? when all is said and done, i do not know. But the rest IS coming soon. I am sure you can imagine how crazy it is for me right now with this, emotion aside, sheer exhaustion at the volume of info and pace I have had to stay at for days on end now. I did not sleep last night, my adrenaline is through the roof and no amount of melatonin would help me. So….I ask that those reading here, or at least thge ones that see this comment, try to do what i desparately need to do and that is take a step back and a deep breath…just for a minute, then proceed. I feel VERY confident then when i am done, most everyone will understand completely, whether we agree or not and that the way I am doing this will help Mike’s legacy and take a little sting off the ending for us :the children” and for History’s sake for Mike. I cannot change that he killed himself, and I assure you he did, but i can try to help you undertsnad it…I walk a fine line though as I have to do this without glorifying or romanticizing suicide in any way (not just for the sake of Mike and the story) but for the sake of humanity and people like me who suffer with suicidal ideation. Taking your life, IMHO, is between an individual and their “God”…i do not condone, endorse nor encourage suicide, cutting or anything of the sort, but….when i am done…you will see that in Mike’s mind…he was doing something beautiful (or thought he was) for all of us. Thank you!!!! a bit overwhelmed. No doubt your plate is Very Full at the moment, especially since you are in the midst of telling Michael’s story in a clear and thorough way! I just wanted to highlight the apparent fact that psychotronic technology *might* have been involved in Michael’s years-long suicidal ideation. I would invite you to look into this. Many of us would not want – or find it difficult – to believe this. However, the issue of this technology has even been addressed at the U.N.
Once again, I know that a great many people are very appreciative of the work and the effort you are offering in this difficult time. Thank you for taking the time to comment and for offering an alternative idea without the aggressive BS tactics that have been projected on me by a few other people who simply do not want to believe that he did this. Mike’s issues stemmed from childhood. He had a rough one and they grew from there. Doing the best I can in my grief, and so thankful for what you’re doing here Cheri. IMO TPTW may or may not have this tech…and “they” may have been putting pressure on Mike for decades. IMO more than anything, Mike was killed by the insanity of the dominant culture. From childhood, he was hounded by it. Recently he shared how close he was to death in ‘Apocalypse, Man’. So be it. He had done so much as a whistle-blower. To be labelled a ‘conspiracy nut’ by those trapped in the insanity of the dominant culture, is a revelation of the consensus trance bubble that pointed that finger at him. Meanwhile The 6th Mass Extinction took out another 200+ species today…. Thank you, and please tell your friend there WAS a gun, not a remote. I noticed your reply to Ted Howard, which suggests that you have misunderstood the meaning of what he wrote. So, I would ask that you read this note before the show if you can. We are all grieving. I know you passionately want to tell Mike’s story in a heartfelt way, and I thank you for your dedication in this. If there was one thing Mike cultivated it was a laser-like focus on the facts. And especially facts that at first may seem unpalatable or unbelievable. “Former KGB General George Kotov has told American visitors about Russian (KGB) research into ‘acoustic psycho-correction.’ The process involves transmitting commands into the subconscious of targeted victims through static or white-noise bands without upsetting other intellectual functions. “The Jan. 11-17, 1993 issue of DEFENSE NEWS reported that U.S. political and military officials are obtaining Soviet mind-control technology. “These devices appear to work at the Very Low Frequency (VLF) spectrum. Since such a technology can apparently effect emotions as well as thought processes, such a scenario would have been a possibility, especially in Michael’s situation – although none of us would like to think this was the case. I am aware of all of that. I have been an activist for a long time.But Mike had a pattern and a problem. He killed himself. Even though I never had the privilege of speaking to him. Michael was a mentor to me as he was to so many others, a deep source of strength and inspiration I would call upon to help me face the reality of our world. I wish I had told him that while I had the chance. I lost my own father to suicide. Part of me knew this would be how it would end for Mike. It’s hard to read, but I can understand why some people can’t accept that he would take this route. Thank you for putting this resource together. Most of the stories covering Mike’s passing, with the exception of the local paper, are insulting and infuriating. My love goes out to everybody whose lives were touched by this amazing spirit. We were truly honored to have had him here now, in this unprecedented moment in human history. RIP Michael. You have earned your rest. You may be missing the point. Michael’s intentions, suicidal ideation, and actions are not at issue. Naturally, any psychotronic induction would exploit pre-existing negative tendencies.. I know it’s scary to contemplate the possibility that this kind of mind control exists and can be deployed. Marylyn…did you personally know Mike? I didn’t. But I feel like I did. He was so open and generous about sharing himself. I have much pain about this. I understand that all of us are asking, “Why, Michael? ?” And I am not sharing the following so that folks can just come up with a pat answer. But we need to be realistic, particularly at this point. One more thing, I can recommend Path of Empowerment by Barbara Marciniak, which offers an overview of the games within games that Mike never got into, but may have had an inkling of. But what I want to say now is that I can’t agree with Carolyn saying that no mind control was involved in Mike’s suicide. There’s simply no way she could know that. And, there’s no use in painting a mythic picture in which Mike was not a victim and chose his fate. He was mythic enough, larger than life, in his own right. Let’s be real here. If it’s even a minute possibility that mind control was involved Mike would want this on the table for discussion. “’Experiments that feature inducing pain or behavior manipulation at a distance have been the distinguishing feature of almost all official soviet PSI research since the 1920’s. Now, perhaps the angels of truth and love have met the soul that Michael is with open arms, welcoming him as one of their own. I do agree with Carolyn…because we have SEEN. That’s the difference in all of this. And nothing I or anyone else that genuinely knows can tell you that will make you change your mind if you have already made it up. These people know more about mind control and everything else than you and I combined probably, come on…do you think THESE people would be saying it was a suicide for sure IF it was not? How is it that people who don’t know him and have not seen what we have etc think they got it all figured out? Without animosity, just simply saying I will not put through any more comments like that. You have put enough of them in here, and I have allowed it, but that’s it. You have no facts about the case other than those I have provided and yet you know? Do you have any idea what an insult that is to these people who DID know him and what they know? And even worse, the insult it is to Mike and his ELABORATE and loving effort to make sure you and others would not be doing what you are doing. Do you not understand that THESE are the types of things that caused this man the greatest angst? No more here. Thank you. Thank you for posting my comments. I was trying to offer information, that’s all. Do you have any suggestions on where I might find out more of the facts that you know re- Mike’s passing? My mind isn’t made up at all. 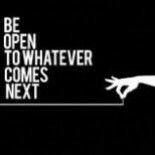 I just try to stay open to possibilities. In fact I’d very much like to be wrong about my speculations and the hypotheses I offered. And I may be completely off target, I know. It was not my intention to insult anyone, least of all Mike.I’m aware that all of our feelings are very raw right now and I absolutely want to honor this reality. I do think Mike would feel that by sharing what I did, I was honoring both his memory and his fierce spirit of inquiry, whether popular or not. I was simply referring to one of the cutting edges of science which involves the interface between thought, consciousness and technology. And, I know that radical innovations are often initially ridiculed and opposed. My last thought for now is simply that as deep and thorough as Mike’s work went, he may have been dealing with only the tip of the iceberg. I believe this is worth contemplating….And that we can only take in so much at one time. Thank you again for this dialogue – a rare and precious thing in today’s world. I am not upset at all hun. Happy Easter. 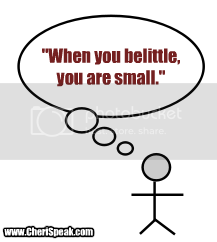 I appreciate your being willing to post thoughts with which you were not aligned. Instead, I wished to share information about “the Empire” and the technologies that apparently exist and can be utilized. In doing so, I sought to model what Michael modeled – a willingness to share his discoveries – planting seeds so that others can grow and be empowered in the struggle for true freedom. It occurred to me, given the MSM blackout re- news of Michael’s death, that you and/or Carol B. might consider writing an obit and submit it to Common Dreams, Huffingtonpost, the Guardian, and/or some of the other progressive news sites such as Globalresearch.ca, TomDispatch, OpedNews, Truthout, etc. These days it seems that they are sites through which “politically incorrect” news is published and at times picked up by more mainstream news sources. Once again, thank you for your courage and fortitude in taking on the responsibility of shepherding Michael’s news on your blog. I am not authorized to submit an obituary to my knowledge. I imagine that would be Jacks place or Jessy’s. Either way, I certainly do not feel that is MY place. I have been a writer for OpEd News for many years. The story is there and it has been reposted and linked to to by many others at this point, but I am not aware of MSM coverage. I think the people that cared about Mike would not necessarily be the type of people that relied on their Nightly News anyway, yanno? I only care that people know the real facts and stop with the conspiracy. Mike tried hard to make it so no one would do that. Truly. Sadly, there was much, in hindsight, that were clues, sadder still no one responded to them because they were in countless places in myriad ways. Had they been a collective of clues, maybe the outcome could have been different. The reality is, Mike himself made sure there wasn’t enough time for there to be a collective. I understand that Michael made a conscious choice, no matter what the background circumstances were. Just a suggestion. If you are so inclined, I believe that one can submit an article or essay to some or all of these sites. May the lessons Mike taught and his example of fearless insight and compassion spread far and wide. May the Great Turning happen quickly, and with the least suffering as possible. That’s all total nonesnense. I don’t believe he killed himself without leaving a note or making a huge statement on his departure. He understood the stakes. He knew too much. He also understood the importance of getting his message out to the world, the very thing he was doing for most of his life. His death would have been the ultimate platform for projecting his final thoughts and his message into the mainstream. Going silently into the night is not Micheal Rupert.That is the mark of a coward or foul play. Going out with a wimper is not Micheal Rupert. He was never a coward. He is a Real American Hero! Obviously you didn’t read the successive stories that INCLUDE the notes 😉 … to tell me what I have written is nonsense is an insult to me and an embarrassment to you considering all the coverage of my work at this point. You should take Mike’s lead and do a little research before you start making accusations. 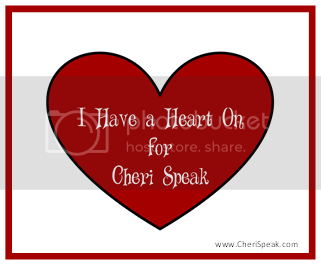 catch up … here is the series thus far: https://cherispeak.wordpress.com/michael-c-ruppert/ … I am working on the final piece right now, which includes as close to a minute by minute timeline as I could achieve. I hope to be able to publish it here sometime tomorrow. Flicking through channels one lazy Sunday afternoon I found Collapse on HBO. Michael Ruppert struck chords I didn’t know existed within my perceptions. Poignant, disturbing, profoundly unnerving – Ruppert’s hypnotic spell cast a fire deep within everything I took for granted. I couldn’t shut up about him.Incapable of defining my sentiments, I posted a superficial, detached post titled “Pondering Michael Ruppert”. Ruppert jiggled my normal ability to rationaly elaborate my point of view – leaving nothing but assertion to all and any who would listen “please find time to give Collapse a chance”. I hadn’t the slightest idea Ruppert committed suicide months ago. Shaken, I wrote this post tonight…. This entry was posted on April 15, 2014 by Cheri in 9/11, Alternative Media, Conspiracies, Depression, Journalists, Michael C. Ruppert, Suicide and tagged crossing the rubicon, mental-health, michael c ruppert, michael ruppert, michael ruppert death, michael ruppert suicide, mike ruppert, the lifeboat hour.